We've made it simple to boost the performance of your 2017 Duramax L5P with the aFe POWER L5P Power Package! 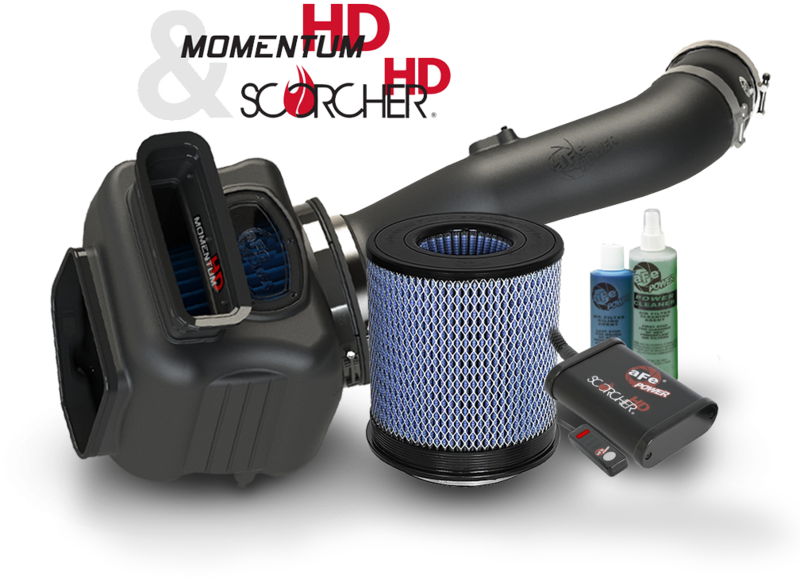 Bundled together is the patented Momentum HD Cold Air Intake System and the Scorcher Module, designed to work together to deliver an additional 138 lbs. x ft. of torque with an install time of 30-40 minutes. 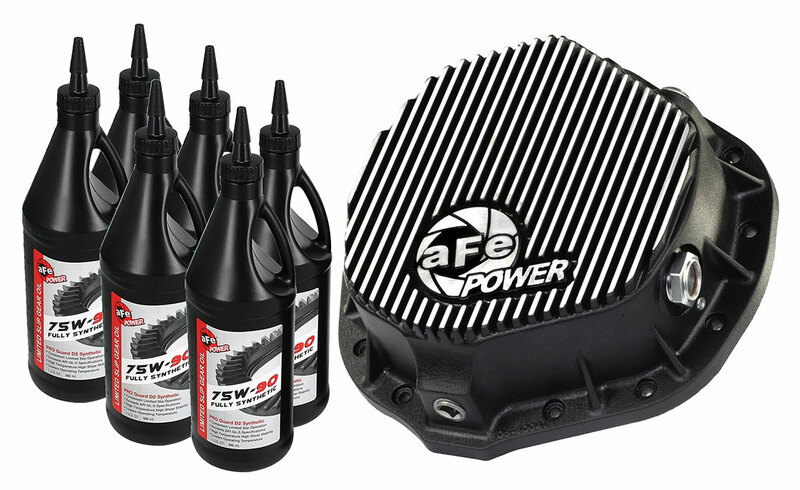 For a limited time only get this aFe Power Package at a discounted price when you pre-order. Improved passing power. Improved towing performance. Torque you can feel. 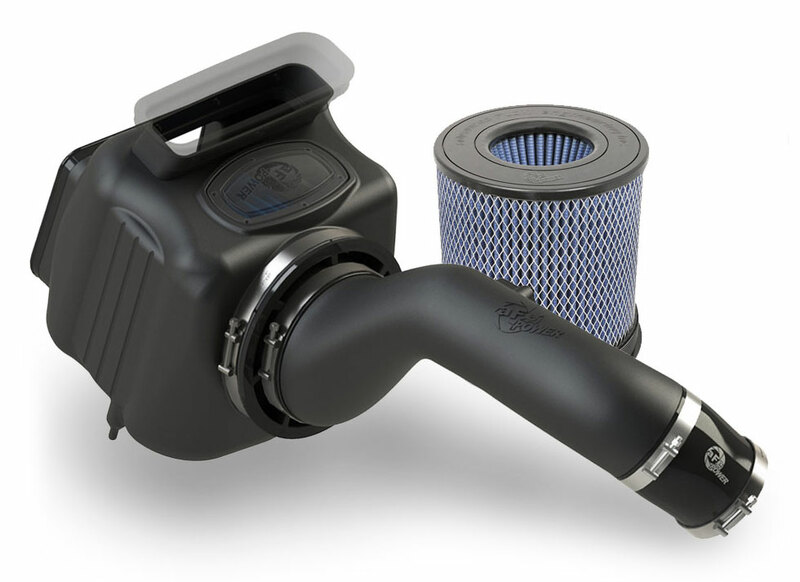 The Momentum HD integrates directly to the factory ram air system on the Duramax L5P, as well as increasing the volume of air available in the intake air box. More air volume means improved throttle response. 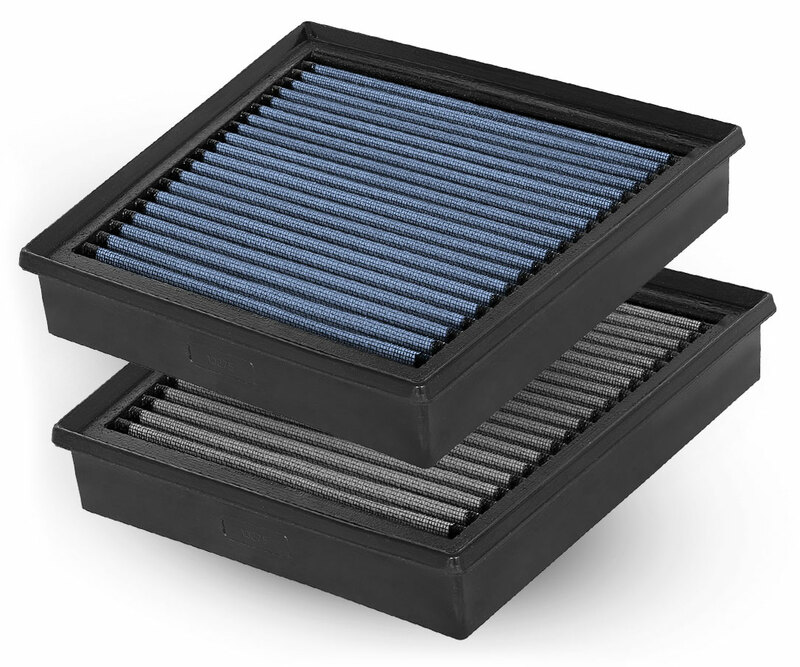 An extremely large 1,000CFM air filter improves efficiency while still providing exceptional filtration. The Momentum HD’s engineering and design ensures an easy installation, which should take you 15 minutes or less. 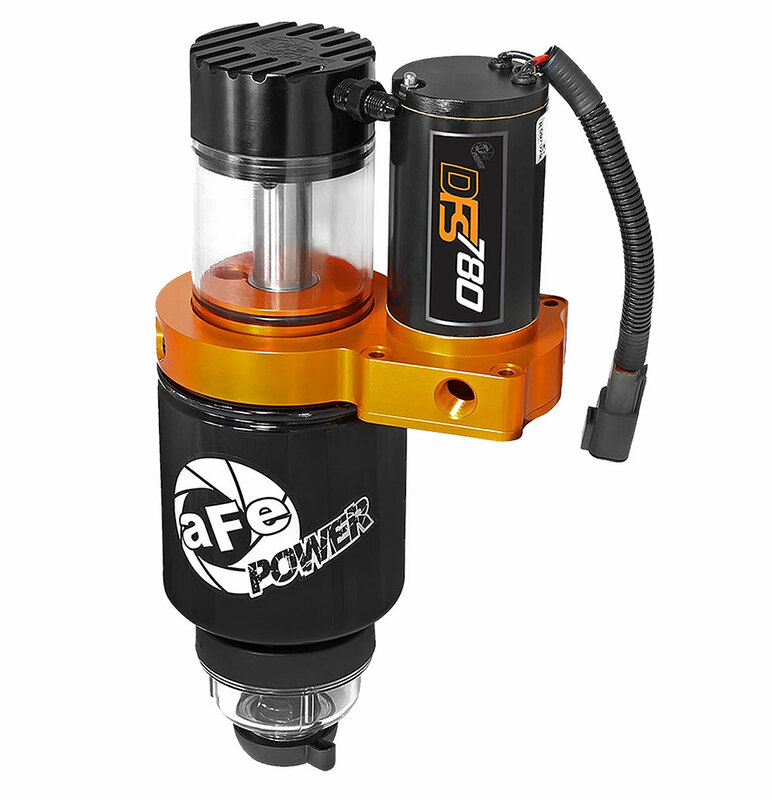 aFe POWER gives you options. Also available is the Magnum FORCE Stage 2 Intake System developed specifically for the new 2017 Duramax L5P. For those looking to really hear the intake and turbo spool, this is the kit for you. Installation takes less than a half hour, and once installed the giant 7" open element air filter is easily accessed for cleaning and dirt inspection. 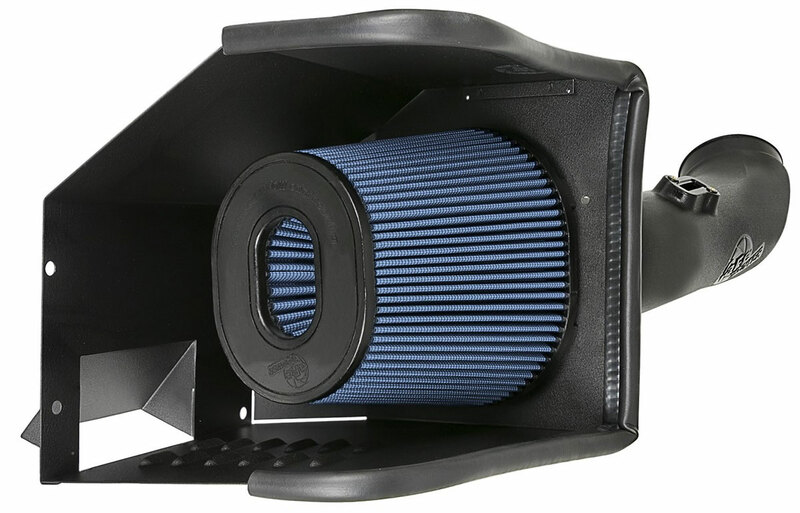 The Duramax L5P intake kit is available in either oiled or oil-free dry filter media, and also has the option for our Pro-Guard 7 filter media for really dusty, dirty environments. Upgrade your L5P today! Add over 130lbs. x ft. of torque with the push of a button. The Scorcher HD module has 4 distinct modes to vary the boosted power output of your Duramax L5P. The Scorcher supports in-cabin changing of power levels even while driving, from Stock, Sport, Sport+ and Race modes. Installation is a snap as the Scorcher HD uses OE-style plug and play fittings, you simply plug the factory sensor wires into the Scorcher, and back to the vehicle. The Scorcher is easily removed and returned to stock, and leaves no footprint on the ECU. This module works perfectly with other performance upgrades like cold air intakes, exhausts, etc. 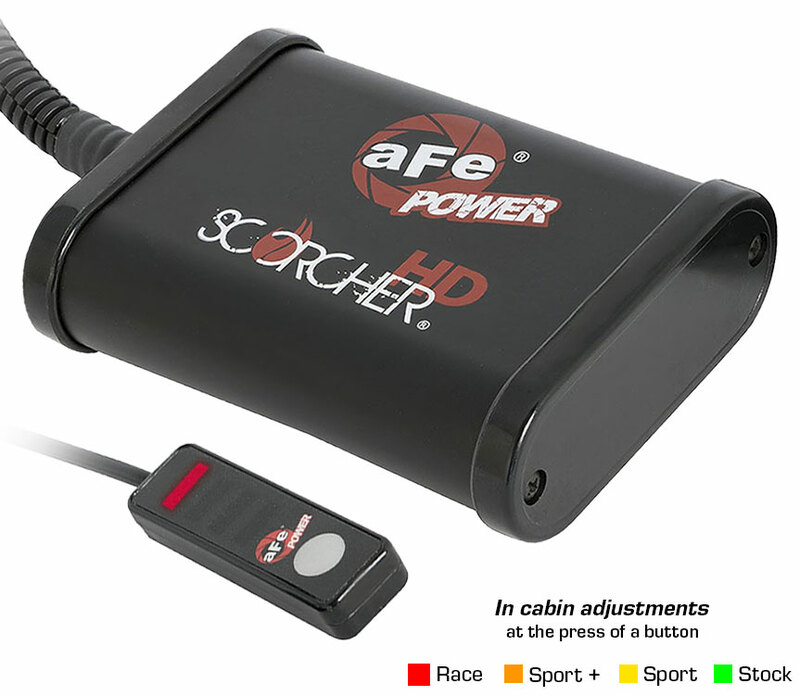 The aFe POWER SCORCHER BLUE Power module is the next generation of Plug and Play electronic module to increase the performance of your vehicle and improve drivability. It is the fastest way to gain safely significant amount of horsepower and torque without modifying or leaving any trace on the Engine Control Unit (ECU). A LED light switch provides in-cabin on-the-fly Power adjustments with different preset modes. 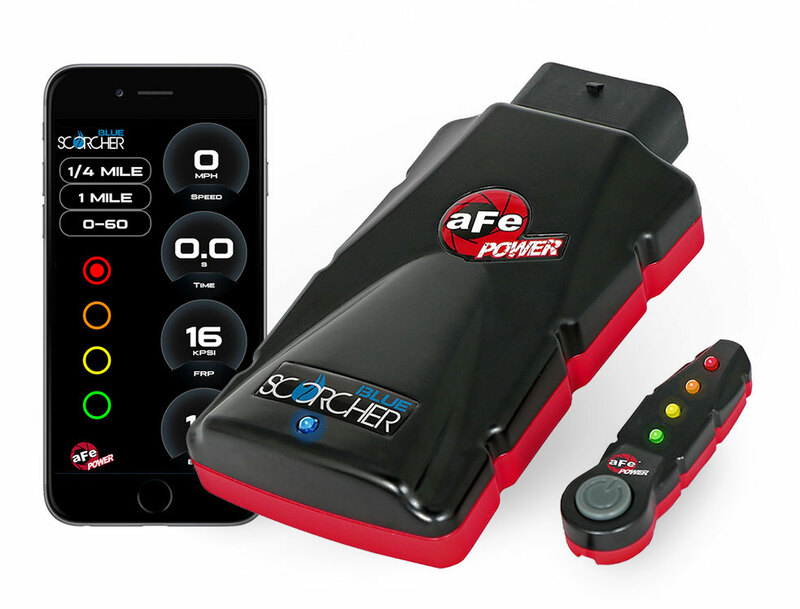 Yet the SCORCHER BLUE power module also have the capability to connect via Bluetooth to your iOS or android device and provides power adjustment, gauges for the engine parameters, custom tuning of the different power modes, upgradability to the latest tunes, measure acceleration time and more. The app is downloadable for free on the app store or play store. The aFe POWER Rebel SS Exhaust provides a unique dual side exit configuration that looks as fantastic as it performs. 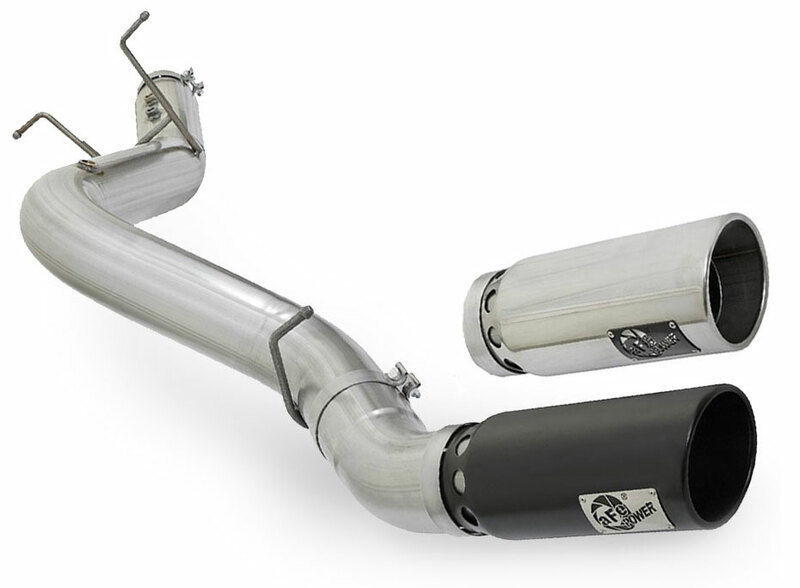 Available in both down-pipe back and DPF-back versions, we have the system to fit your truck, and these systems fit a variety of wheelbases and truck cabs. 4” mandrel-bent stainless steel tubing provides maximum flow, and finishes to dual 5” stainless steel straight-cut intercooled exhaust tips, available in black or polished for your personal style. OE-style bayonet hangers provide stability and a hassle-free installation. 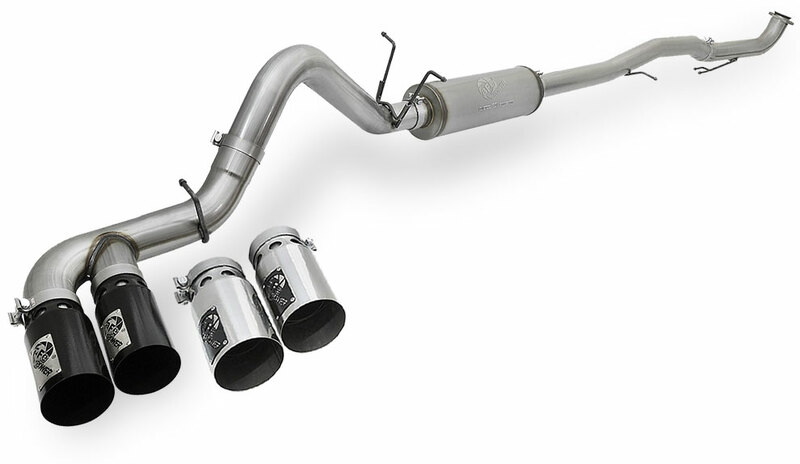 Want to convert your single-tip exhaust to a dual rear exhaust setup? aFe has the perfect exhaust for your L5P. Available in several material options, including aluminized and stainless steel, these are also available in either down-pipe back or DPF-back depending on your build. These 4-inch systems finish with 5” diameter stainless steel intercooled exhaust tips that are offered in black or polished. This L5P exhaust is expertly designed to fit perfectly without relocating the spare tire. Get the performance and sound you’re looking for out of your Duramax L5P. Need the most flow possible for your L5P exhaust? 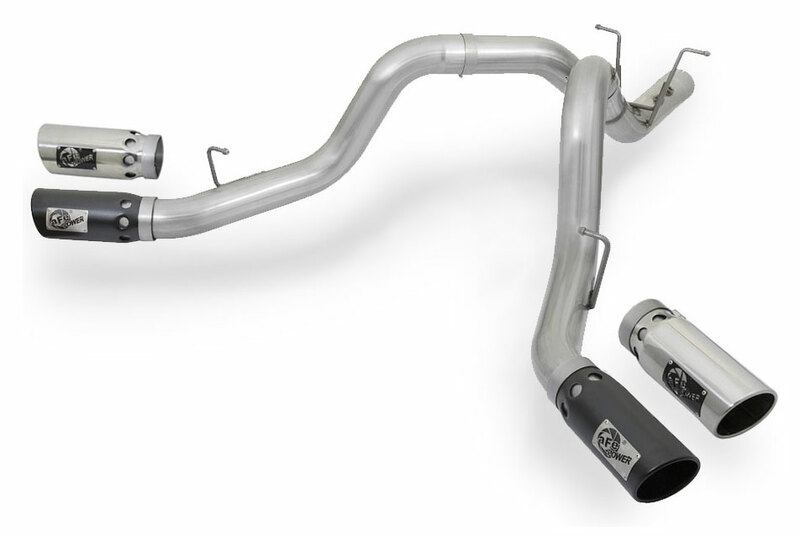 You’ve found it, with the massive 5” mandrel-bent L5P exhaust system available in aluminized or stainless steel, in either a DPF-back or full Down-Pipe Back configuration. Some kits feature a 24” muffler, and kits are available without a tip, or you can opt for a giant 7” stainless steel tip available in black or polished. Eliminate any exhaust restrictions from your L5P for maximum horsepower and torque. 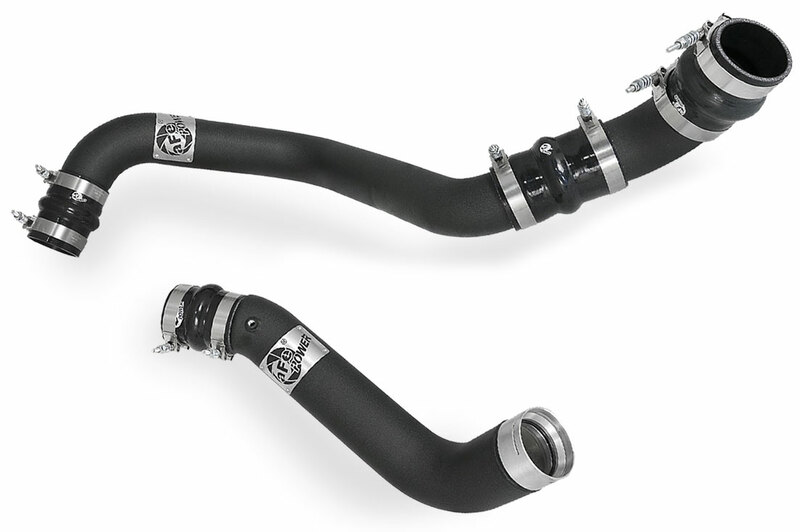 Improve the flow to your L5P intercooler by up to 38% with the addition of the aFe BladeRunner Intercooler Tubes. These TIG-welded mandrel-bent aluminum tubes provide better flow for higher horsepower and higher boost L5P applications over factory. These I/C tubes utilize the factory mounting locations, come with strong T-Bolt clamps and 5-ply silicone couplings rated at 200PSI for long lasting durability. Also features a 1/8” NPT port for auxiliary sensors, and factory-style quick connect adapter for easy installation. Remove entrained air from your L5P’s diesel fuel, improve the pressure and flow to your Duramax and add additional filtration to deliver clean fuel for improved performance and reduce injector wear. The DFS780 for the Duramax L5P has a flow rate of over 187GPH, and is capable of supporting over 2,000 horsepower. The DFS780 is available in several different models, and is available in a vehicle-specific kit, making installation a breeze. And unlike other units on the market, we do not require that you drill/cut/modify the fuel tank. 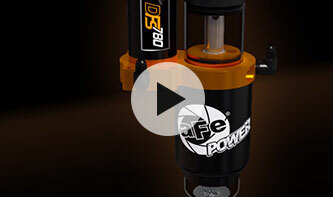 Take a look at what makes the DFS a superior diesel lift pump. 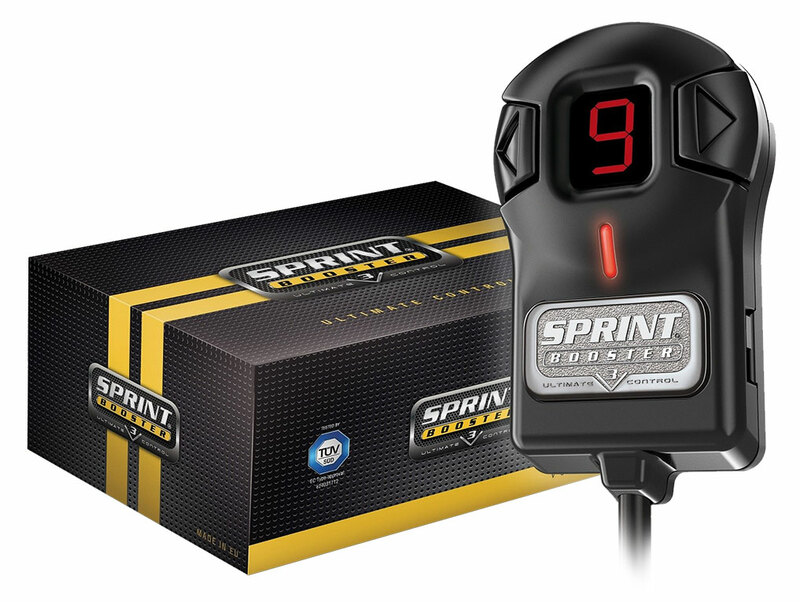 L5P owners that seek improved drivability without tuning, the Sprint Booster is a perfect alternative. Sprint Booster modifies the signal between the accelerator pedal module and the ECU. The improved signal encourages the throttle to open "more" than what the stock signal was providing at a given pedal position. The end result is the idle-to-full-throttle pedal travel is reduced. This makes your truck "feel" more powerful because the given pedal input produces greater throttle opening. The Sprint Booster can be used with other tuners/programmers due to its ability to work independently from other modifications. The install takes just minutes making this performance upgrade simple but effective. aFe Power's new rear differential cover for the L5P AAM 11.50-14 bolt axles brings performance engineering to the protection of your axle's differential. This differential cover is constructed out of durable die-cast A380 aluminum with reinforced ribs and wrinkle black powder-coating with machined fins for maximum strength and styling. This cover comes with all necessary hardware for a hassle-free installation. The Pro Series differential covers include an oil level sight glass and deep reach magnetic dip stick for maximum protection. 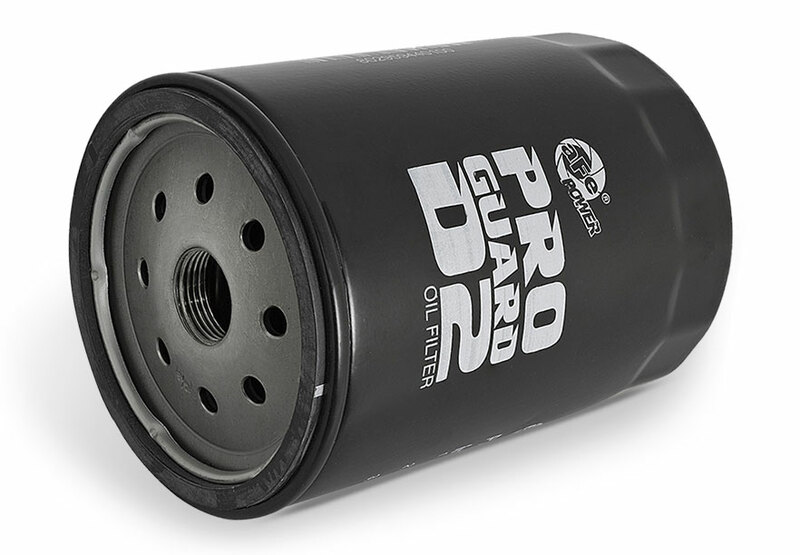 Pro GUARD D2 Oil Filters deliver increased flow and efficiency that are demanded in the Diesel environment. This oil filter is constructed with a high strength steel canister and a heavy duty coil spring. Also included is a built-in seal for a leak-free installation.